The TSS (Total Slimming system) is the DNA of the Celliss. 96 pistons – each one 3 cm – take action on the adipose and muscular tissues of the buttocks, stomach or hips with a series of noninvasive aspiration/percussion movements, whose intensity and speed can be adjusted. This unique process is controlled by the Celliss software. The aspiration frees drainage circuits, then the percussion triggers a mechanical shockwave and compresses the tissues. The combination of these two principle effects on a large stimulated area is the foundation of the Cellumassage. The Cellumassage method, featured on the Celliss, provides the only solution capable of treating 5000 cm2 of the body’s surface at the same time. The adjustable and adaptable aspiration/percussion cycle, with variable intensities and speeds, massages the adipose and muscular tissues in three dimensions and in the physiological direction of drainage. The Cellumassage multiplies the efficiency of professional gestures by working simultaneously on the entire treatment area and without being operator dependent. Celliss is a powerful tool designed to satisfy all your requirements. Via the intuitive touch screen interface, the treatment program can be personalized. Protocols can be accessed with one quick touch, and once the treatment is launched, it does not require any intervention. The integrated protocols were developed by health/beauty/sport professionals and allow operators to adjust the Cellumassage according to the selected treatments and the client’s profile. Easy to use, this high technology device is remarkably efficient. Cellumassage is a method designed to naturally multiply the efficiency of most of your treatments. Celliss will meet your clients’ expectations in terms of slimming/cellulite reduction, wellness but also for sport preparation and recovery. 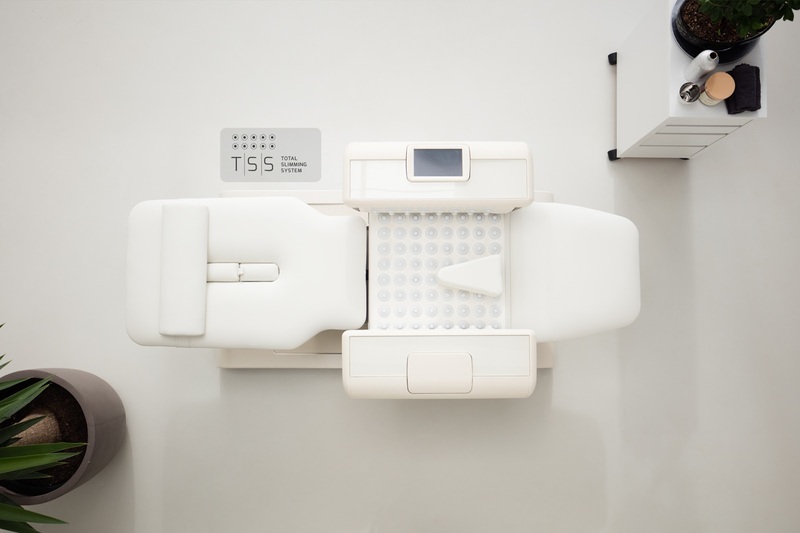 The Celliss is intuitive and easy to use for all your collaborators, assuring an optimum efficiency for each treatment. Sessions typically last from 15 and 30 minutes. According to the goals and the programs selected during the diagnostic phase, the treatments include 1 to 10 customized sessions. Once your programs are defined, they follow you over your entire treatment with the no-contact “My Celliss” card that saves your program history. The aspiration stretches and moves fatty tissue freeing drainage circuits. Then, the percussion triggers a mechanical shockwave and compresses fat cells (adipocyte tissue), while stimulating the natural process of fat release (lipolysis). The combination aspiration/percussion over such a large surface at the same time optimizes drainage. Thanks to this treatment, your orange-peel syndrome will be reduced and the drainage stimulation will make you feel lighter.